From stem cells to human development: Meeting reporter competition winner! In May we ran a competition to find a meeting reporter for Development’s upcoming meeting on human development and stem cells. We had some wonderful entries from across the field, and are delighted today to announce the winner: Antonio Barral Gil, a PhD student in Miguel Manzanares’ Lab at CNIC (The Spanish Center for Cardiac Research) in Madrid. Entrants were tasked with writing a short piece on the state of the field, and Antonio’s piece impressed the judges (the Node’s Community Manager Aidan Maartens and Development’s Executive Editor Katherine Brown) for its energy and excitement, as well as its style and content. Antonio obtained his Degree in Biotechnology in 2015 from the Universidad Pablo de Olavide (Sevilla). He then moved to Madrid, where in 2017 he got his Master’s in Molecular Biomedicine at the Universidad Autónoma de Madrid thanks to a CNIC scholarship. 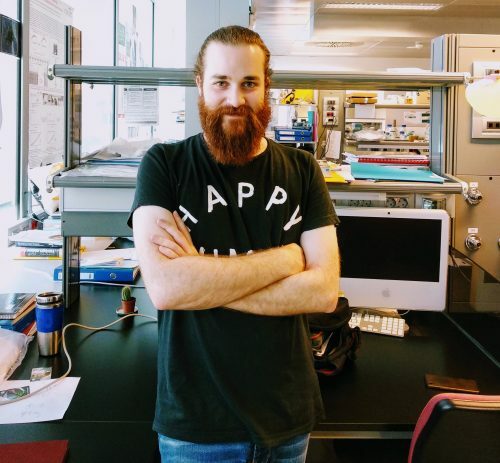 He carried out his Master’s thesis in Miguel Manzanares’ lab, focusing on characterizing the role of the transcription factor NANOG during gastrulation. He has recently started his PhD at the same lab, this time focusing on heart regeneration and development. The meeting will be held in September; look out for Antonio’s report soon after!